But part of the job in creating a new path is understanding exactly where you are. The word in Cyprus on maritime is ‘growth,’ a collective effort led by government and including commercial and recreational sectors, as well as building the blue economy, too. “We’re really trying to promote our ‘blue growth,’ encouraging students to take up maritime careers,” a plan which includes the recent establishment of three new maritime academies to train cadets, with first graduates coming in 2019. But as anyone knows, shipping is a multifaceted endeavor with many arms, and bringing the finance to bear has also been critical to building the path toward a bigger maritime economy in Cyprus. While shipping and ship management are core tenants of any maritime economy, the buzzword of today is ‘Blue Economy’ as true growth counts on independent and collaborative growth among various sectors that touch maritime. For Cyprus, ideally located in the Mediterranean Sea, a key starting point is tourism both on land and at sea, investment to attract more yacht and sailing activities. 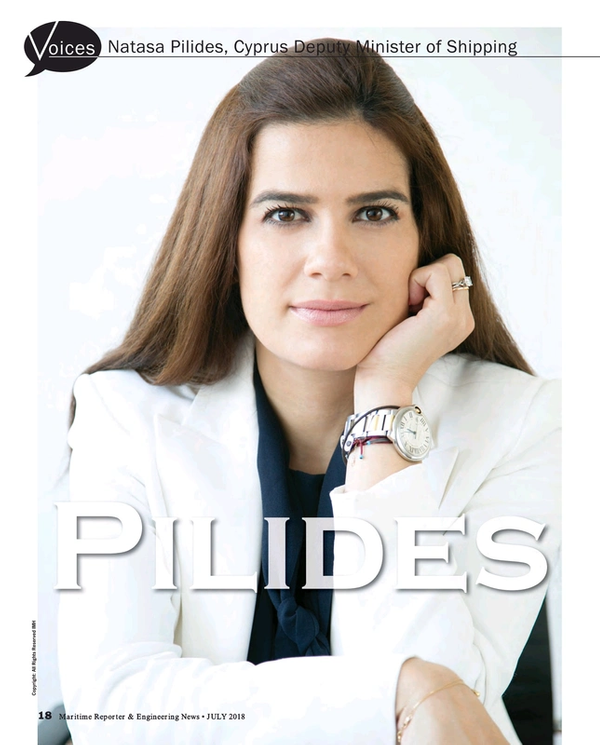 While attracting the building of tourism and entertainment facilities to help bring in the global yachting community is one aspect, Pilides is taking a holistic look at the entire blue economy sector for her country. Location, finance and people are individually strong threads, woven together by strong government support to create the fabric that is Cyprus maritime. Land Area: 9,251 sq. km.